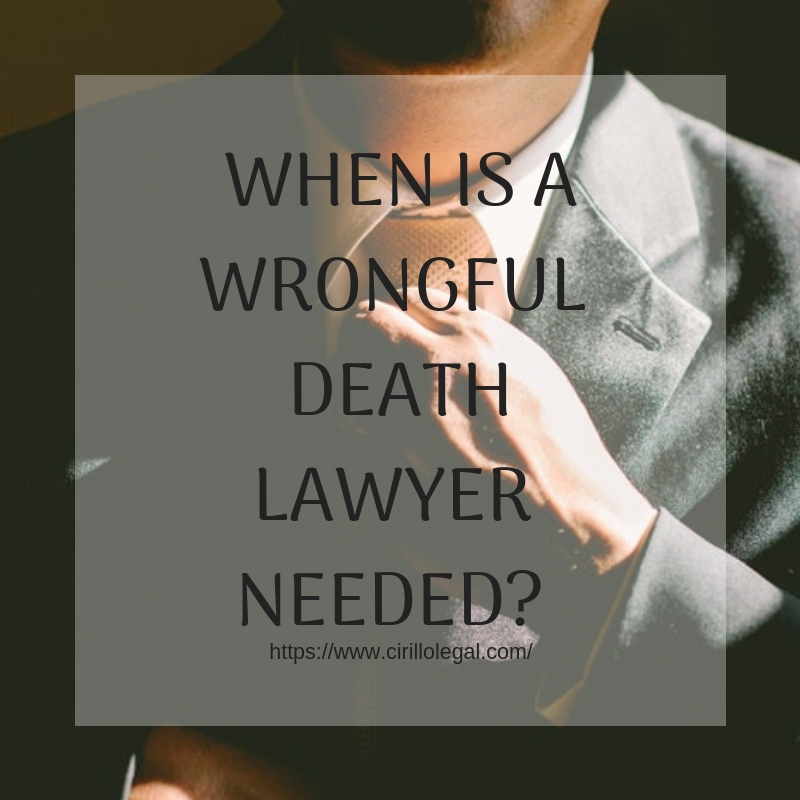 When Is a Wrongful Death Lawyer Needed? Wrongful death is when someone loses his/her life because of the negligence or misconduct of someone else. In such a case, the survivors get the right to sue the negligent party for “wrongful death”. The claim can be made to seek compensation for the loss of the survivors, which covers comprehensive aspects like loss of companionship, loss of income source because of the deceased, and expenses of the funeral and more. Wrongful death claims can be intimidating and filing them on your own won’t bring you the desired outcomes. It is recommended to hire a Personal Injury Lawyer to ensure you get the best compensation. Why do you need an expert Personal Injury attorney to file a wrongful death claim? When a person dies due to an illegal conduct of someone else, it is a case of wrongful death. The person who survives the death of a dear one is entitled to file a compensation claim. However, the wrongful death laws are complicated in nature and differ from one place to another, hence to ensure that you get fairly compensated, you need to hire a professional. The“wrongful death statute” of every state is different. When you are dealing with a wrongful death case in New Haven, you must hire a Personal Injury Law Firm New Haven, CT, to ensure you get the desired help needed. Losing a loved one is traumatic. The survivor might lose the sense of time or loss while suffering from the grief. The compensation covers a lot of losses incurred to the survivor including loss of companionship,loss of income, funeral expenses and sufferings. Without the help of a Wrongful Death Lawyer, it is not possible to accurately address all these losses and seek help. Wrongful death cases can take a lot of time depending upon the type of case you present.If you hire a personal injury lawyer, you can make sure that the case does not have any loopholes. Moreover, the lawyer must have contacts with the judge and the other party’s lawyer and can help settle your case more easily and in lesser time. Wrongful death attorney can put your sufferings to an end by helping you get the right compensation. They are the first point to contact in case of wrongful death of a dear one.